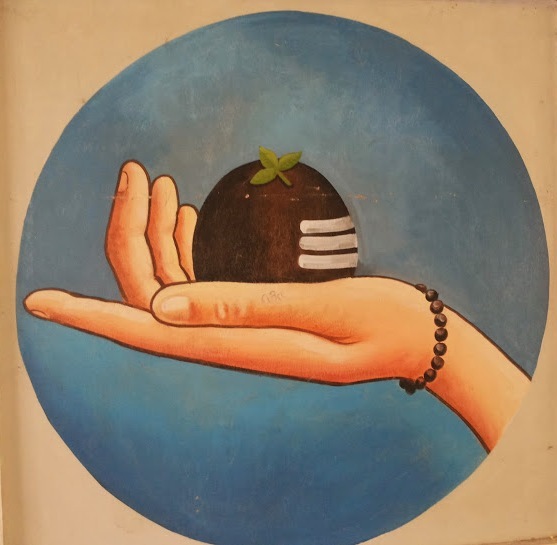 Lingayats religion - What is it and who has established it? Recently we came to know about new "religion" which is called Lingayats. It is a new terms for most of us who thought it as Caste in Hindu religion. Many would not have known it as caste too outside Karnataka State. Recently, Congress party in preparation for the next state election as given recognition as a separate religion and not a part of Hindu religion. This raised interest to know in simple term what is it and what is the significance of it in India. I was looking for simple write-ups that tells me the whole story in few paragraphs. I got two articles which can help you too. Just a summary, Lingayats group was formed by Basavanna. They follow a separate God which look like Shivaling of Hindu God. They wear that form of God called Ishtalinga (above pic). Basavanna formed this group to save people from Hindu caste system and too many rituals. They preached equality and work is worship. Above link will give you some info about social structure of Lingayats and its association with Hindu religion too. Here is another website which looks like created by few individuals. There they call the person as धर्म गुरू बसवॆष्वर who has established the Lingayats religion. But Lingayats belief system are almost matching at both places so we can have meaningful view about the religion. Congress believes that breaking this faction from Hindu can help them get votes in election which is 2-3 months away. Lingayats think that they can ask for reservation as minority religion. BJP's Yeddyurappa is thought of as a big leader of Lingayats. Lingayats is 16-18% of Karnataka vote bank. Now, who is right and who is wrong here and should there be new religion or not! You decide. My main focus was to understand What is Lingayats.